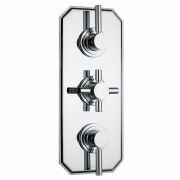 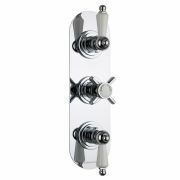 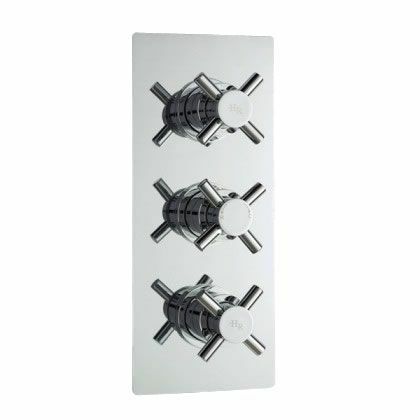 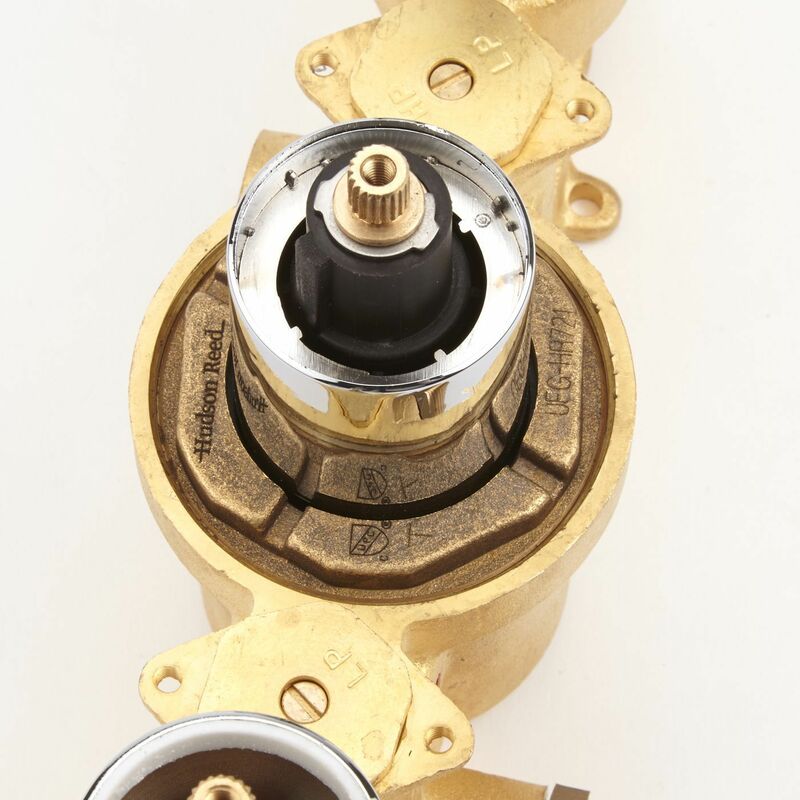 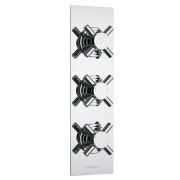 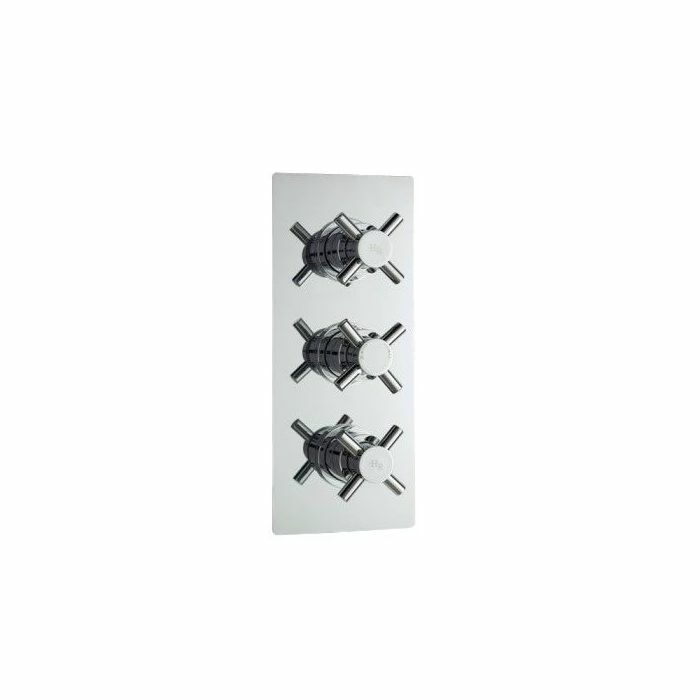 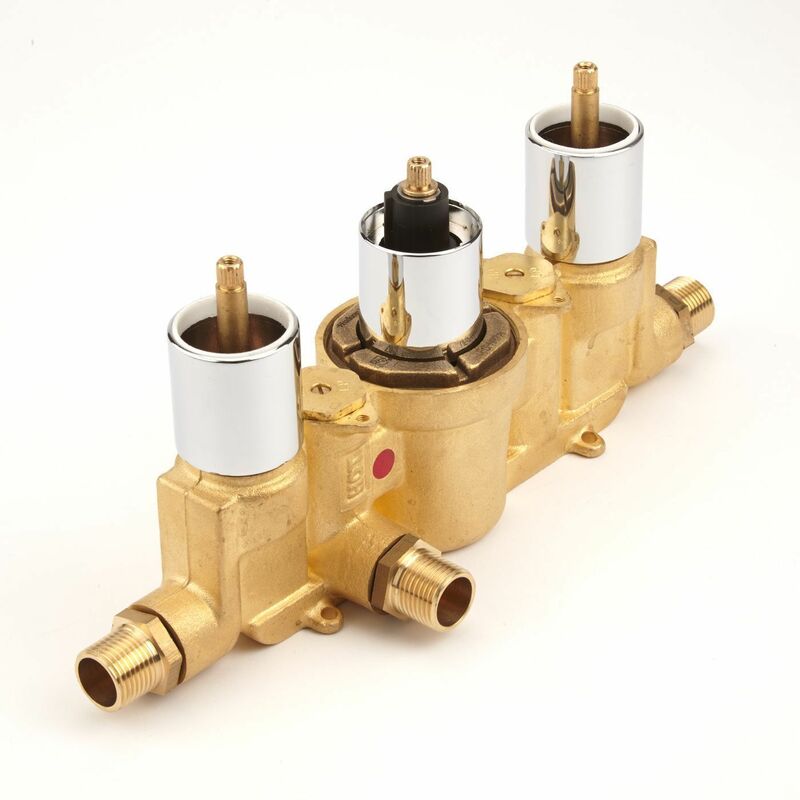 The Hudson Reed Chrome Kristal Thermostatic Two-Way (Triple) Shower Valve is constructed from brass and features ceramic disc technology. 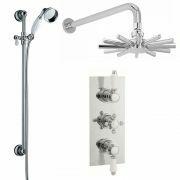 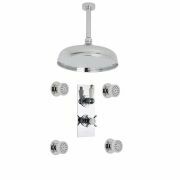 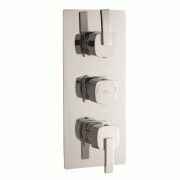 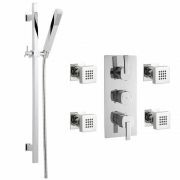 This elegant chrome finish shower valve supplies water at a pre-set temperature to either a fixed shower head, plus a handset, tub filler spout or body jets. 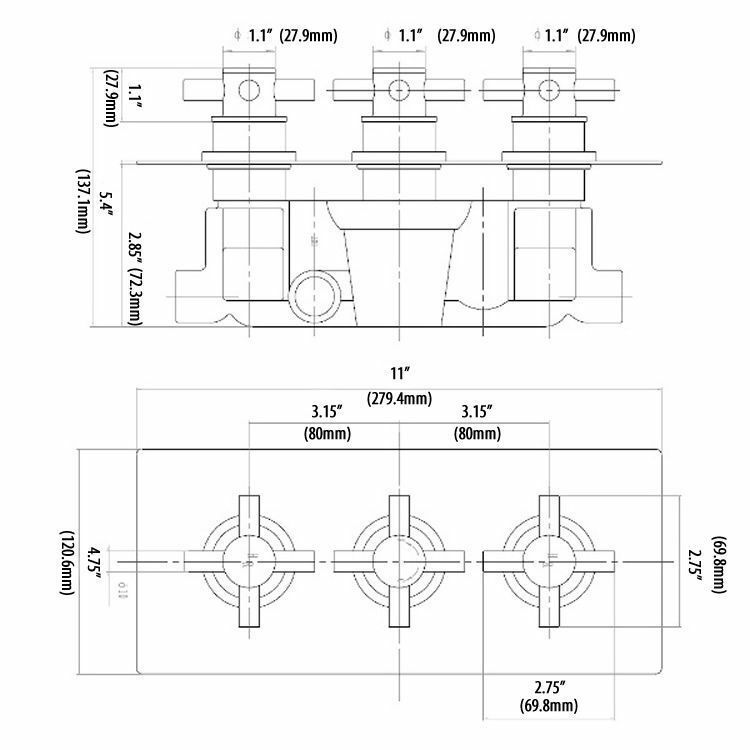 Dimensions (Valve H x W): 11" x 4¾"